With Thanksgiving behind us, many of us are all looking forward to Christmas. Christmas is a time to give and create new memories with our loved ones. 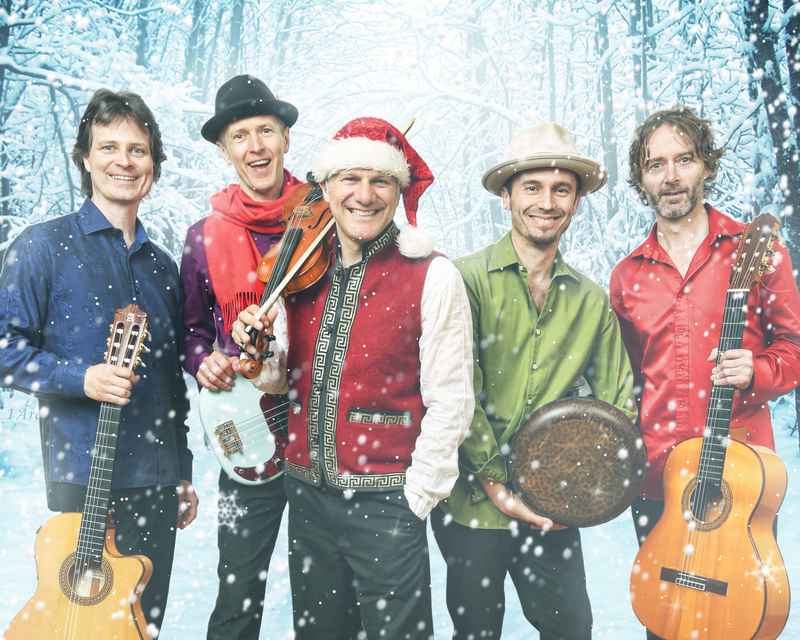 Three-time JUNO and three-time CFMA winning ambassadors of musical diversity, the Sultans of String, are going on their Christmas Caravan tour across North America. The band has just wrapped up a successful appearance at the Toronto International Film Festival where their song, “Snake Charmer,” was included in the new film Hotel Mumbai. They are currently partnered with the United Nations Agency for Refugees in Canada (UNHCR). The band performed at the Registry Theatre here in Kitchener on Nov. 25 at 3:00 pm with an added show at 7:30 p.m., due to popular demand. Proceeds from their performance will go towards providing shelter, food, water, medical aid, and other life-saving necessities for refugees all around the world. McKhool, who has a history of involvement and awards for community involvement, explained the reason behind the band’s decision to work with the UNHCR. The band has partnered with numerous musicians of different backgrounds that were tied together by a common experience – their experience as refugees or immigrants. The band wants to share messages of hope and cultural harmony whilst raising funds and awareness for the UNHCR’s plight to assist refugees from around the world. McKhool said that “music is a universal language.” Through this, he acknowledges the important role that music plays as a tool for unification and as an agent for social change. The show on Nov. 25 was the band’s third performance at the Registry. Their intimate concerts promise to be ones that will leave you with a melodious beat and a full heart.